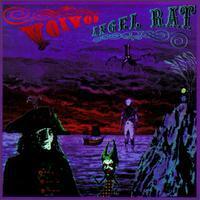 Angel Rat is the sixth album released by the Canadian thrash metal/progressive metal band Voivod. Produced by Terry Brown of Rush fame, it was released in 1991 by Mechanic/MCA Records and is the follow-up to their critically acclaimed release, 1989's Nothingface. "Clouds in My House" was made as a music video. While Angel Rat was released on a major record label, the album initially received lukewarm reviews and was not as successful as Nothingface, though it has gained a strong cult following in recent times. Before the release of the album, bassist Jean-Yves Thériault (Blacky) subsequently departed from the group.